Do you have wonderful memories of a special meal or dessert that your Grandmother makes, or has made for you when you were little? Remember what the aroma was like smelling that delicious scent coming from the oven as you eagerly waited for a taste? I can remember her giving me one of the beaters to enjoy when she was done mixing a dessert or something delicious! Oh, what great memories! 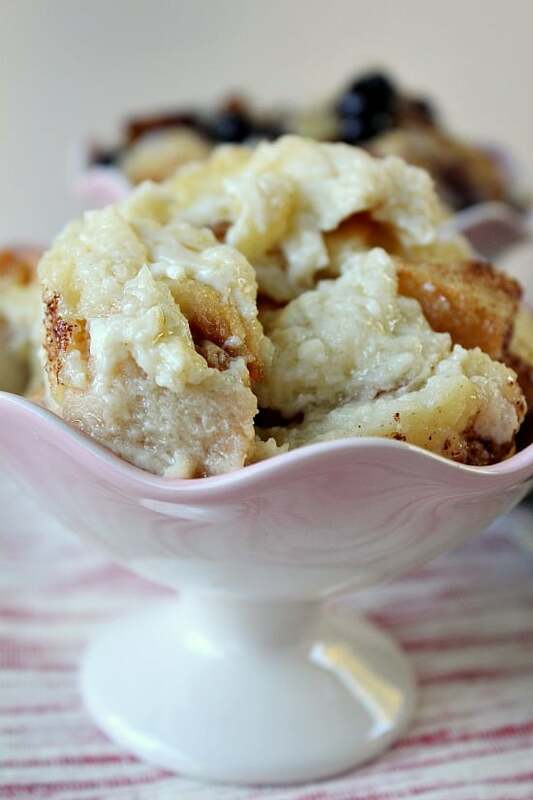 You are going to love my grandma Anne’s bread pudding. 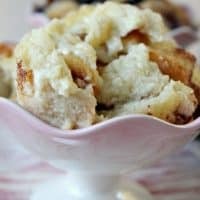 My grandmother used to make the best bread pudding. When I was a little girl, I loved to go to her house because she always had something that she baked for us grand kids. One of my favorites was her bread pudding. 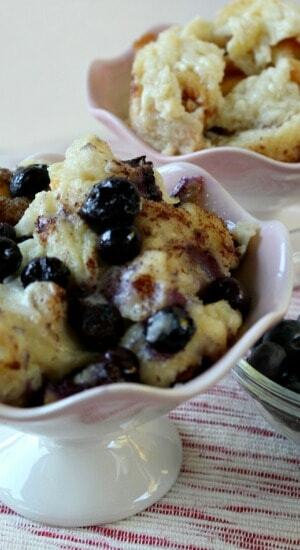 This was not like any other bread pudding. It was custard like and oh so good! I have many wonderful memories of my grandmother and all her delicious meals she made, and delicious goodies she baked. I used to sit and watch her make her “rollie pollies” and was amazed at how she could bake such delicious things. Rollie pollies were just the left over pie crust dough rolled up with cinnamon and sugar and then baked. We loved those!!! As a little kid, those were the best ever!! I sure miss my Grandma Anne. 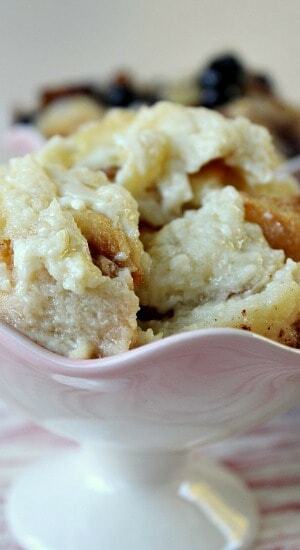 I hope you will enjoy her bread pudding as much as I have through the years. In a large bowl, add milk, eggs, sugar and vanilla and stir well. Butter each piece of bread and add 6 pieces of bread to a 9x14x2 inch pan or baking dish. I used a larger pan for this. Sprinkle a little cinnamon on top of the bread. 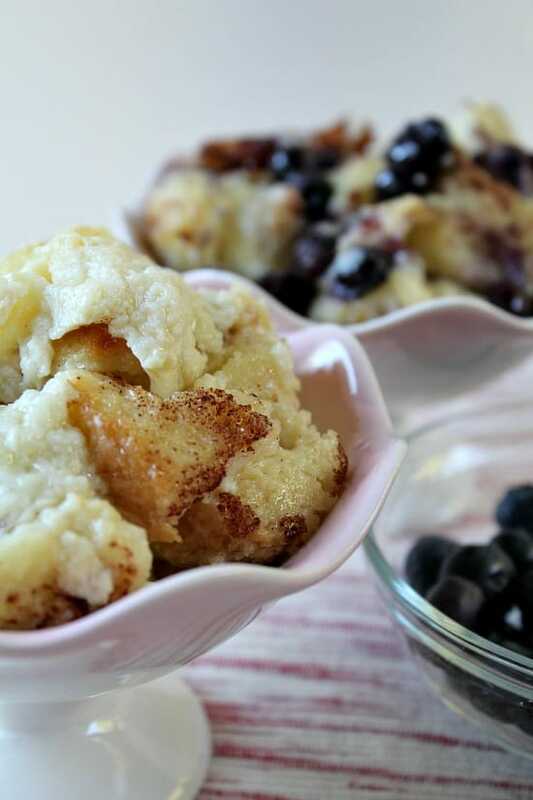 Add blueberries on top of bread (optional, and if you want plain bread pudding, just add the other 6 pieces of bread and omit the blueberries). Next add the remaining 6 pieces of bread and sprinkle with a little cinnamon. Pour milk mixture over bread and let it soak in. 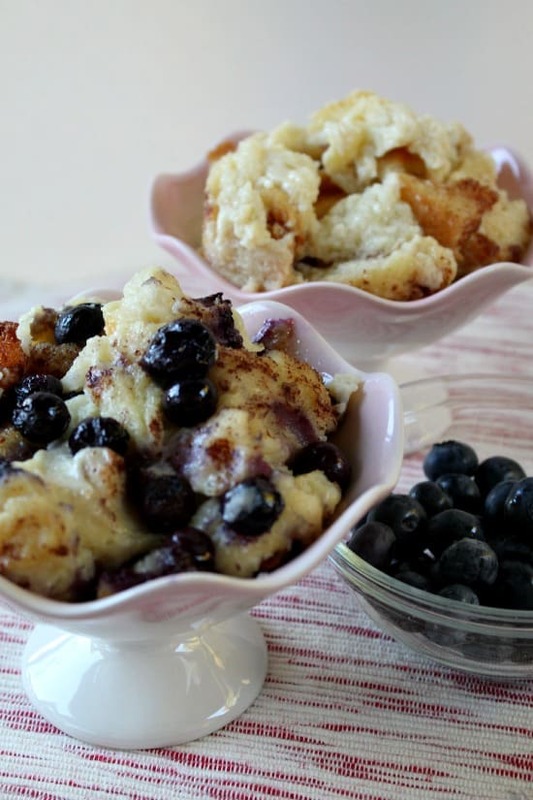 If you are adding in the blueberries, you can add some on top as well as the ones in between the layers of bread. Just a note, this is really full, to the top of your dish, with milk, that is why you need a larger baking dish then the standard 9x13. Do not worry if all the milk mixture does not fit in the dish. Just use as much as you can. Cover with foil and bake for 1 hour. After an hour, take off foil and continue baking for an additional 10-15 minutes or until done. It might seem like a LOT of milk, but trust me, this is what makes the "custard like" pudding!